The present invention relates to an Energy efficient gas stove requires a height adjustable mechanism to maintain optimum distance between vessel bottom and burner top. The efficiency improvement achieved by reducing the heat loss in different modes of operation of gas stove could be up to 12%. The different mechanisms to realize this improved efficiency are: Gear mechanism, Pin-Slot mechanism and Linkage mechanism. These foretold mechanisms work through linking of gas knob in the burner height mechanism, while also having provision of safety design in case of inadvertent movement of gas knob. The present invention relates to a ventilation board, an insulating board, a ventilation system, and articles and architectural applications comprising said ventilation board and a method of manufacturing the ventilation board. The said ventilation board comprises a layer (11) provided with a first aperture (5); an adjacent layer provided (13) with a second aperture (7), the first and second apertures being located relative to each other such that they are non-aligned and are substantially without overlap; and a passageway (9) interconnecting the first and second apertures thereby permitting the passage of fluid therebetween. ; Therefore, the carton comprising said ventilation board when used for fast food packaging provides sufficient ventilation of the carton so that water condensed from food vapors does not run on to the food in the carton, and sufficient insulation so that the food in the carton is kept warm. The invention relates to a machine for the production of a continuous strip of wire mesh using a single flexible metal wire which is fed to the machine continuously. The mesh is formed by repeating the same pattern with the metal wire in one plane, each pattern being stacked on the preceding pattern with a constant pitch offset in the axial direction of production. The Patent pertains to a device for generating Thrust and Torque in space at industrial and/or military and/or space temperature range from electric power without involving reaction mass. The device for generating torque and thrust from electric power comprises of a main shaft and a cone assembly, where the cone assembly is supported on the main shaft and comprises of a spin drive motor and a precession drive motor. The device further comprises of a plurality of magnetized gyro spinning wheels, wherein the gyro spinning wheels are rotated in spin motion by the spin drive motor and the cone assembly is rotated in precession motion by the precession drive motor. The device further comprises of a gyro cover operatively connected to support the plurality of magnetized gyro spinning wheels and comprising a slot, wherein the spin motion and the precession motion causes leaking of ether through the slot. 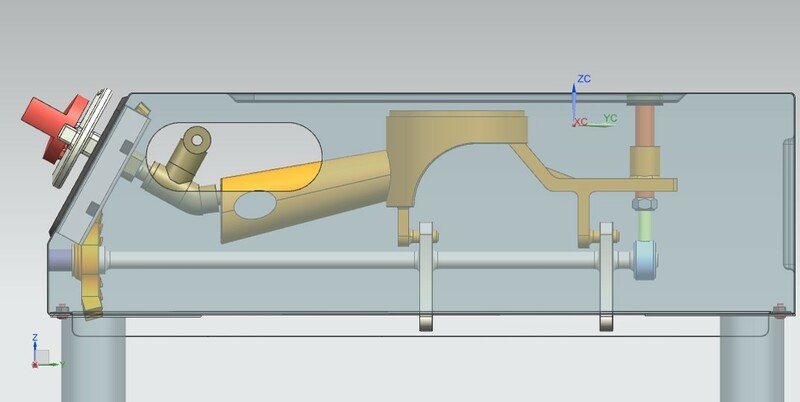 The ether can also be leaked through a guide duct operatively connected to the slot to generate the desired torque and thrust. The technology relates to the Novel Optical Source and its preparation process. The optical source produces a non-resonant, single mode, pulsed and coherent emission with ensured larger coherence length and this emission also has superior features such as control of modes, control on wavelength and control on fluctuation. Does not require the fabrication of optical resonators thus achieving cost cutting. The present disclosure relates to a prism mount adaptor providing a rigid and stable support to the prism even in hanging position. This set-up is having reflecting plane of the right angled triangle prism parallel to the tilting surface of the mount. A horizontal channel support with a horizontal bar provides rigid support to the apex of the prism, while positioning rods which are fitted with fasteners to the horizontal support provide vertical support. The gasket is placed in between the prism and the rectangular base plate. The mount is having rectangular groove to fit the prism and the gasket and a radial groove to provide the rigid support to prism in hanging position.